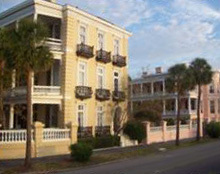 The Charleston Sunrise Walk takes you through Charleston on foot during this truly gorgeous time of day when the sun's rays are just starting to bathe the beaches, historic homes, and other memorable sights with a warm, golden glow. There is no finer way to get your morning in beautiful Charleston, South Carolina, off to a fabulous start than with the Charleston Sunrise Walk. 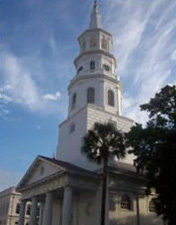 Your memorable Charleston Sunrise Walk is led by John Young, a local resident who has lived in the area for many years and loves sharing with you all of the history, folklore, and true stories of the city's amazing 340 year history. Just as the sun is rising high in the sky, you will be seeing some of the most popular attractions in the city such as St Michael's Church, the White Point Garden, High Battery, Rainbow Row, and the Old Exchange Building. 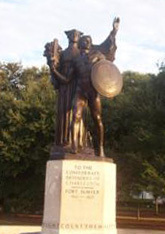 The narration includes stories about historic locals such as Thomas Pinckney, PGT Beauregard, and DuBose Heyward. You will also learn more about some of the most momentous events in the city's rich history such as the rather recent Hurricane Hugo, as well as more historic events like the 1886 Earthquake, the Great Fires, the Civil War, and the American Revolution. 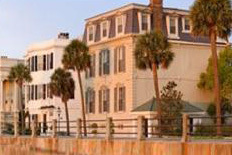 You will see Charleston in a new light after the Charleston Sunrise Walk. Reserve your space on this wonderful sightseeing tour today! Check the schedule for tour dates and times. This is an outdoor walking tour. Comfortable walking shoes and weather appropriate clothing are recommended. This is a slow, easy walk suitable for all fitness levels and ages. The tour guide was so knowledgeable and very informative, we had a great experience and are looking forward to going again.